Web sites, e-marchant and portals are still and will remain important channelsfor organizations and companies to communicate, interconnect and make transactions with their stakeholders. We have been part during the last years of pushing business processes, sales and communication into web through a very large number of successful projects. 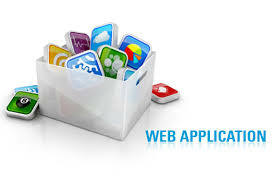 Many of our customers are web and digital agencies that design superior web interfaces. our technical teams know how to transform those nice design promises into fluid, friendly and rich web shopping sites and portals. For this, we use best of the breed technologies and alwayes challenge ourselves to embrase the latest technologies that increase both productivity and user experience. our project managers and business analysts can work on specifications workshop to sew the solution that specifically meets your business requirements. our technical team will turn out design guidelines into reliable and secure IT solutions that conform to standards and provide you with the best return and maintainability of your investments. We knew how to envolve our expertise from historically java/j2ee implementations, to MVC frameworks(php,symphony), to nowadays industry -leading java/j2ee and .net framworks. Our architects can support our customers on dimensioning infrastructures and architectures that meet their traffic expectations and deployment constraints while leveraging open-source or industry-leading software. Our business analysts and project managers assist our customers expressing their needs and wishes to build solutions that meet their business challenges and implement their processes while involving their organizations, customers, resellers or providers. All our delivrables conform to high technology and security standards with the goal of providing our customers with the best return and maintenability of their investments. 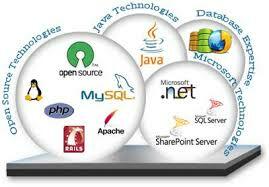 Iternational IT group operating in USA. We assist our customers leverage IT innovation and upgrade their organizations by providing competitive and innovative IT, know-how, domains, infrastructure and solutions.